In BMO Online Inventory System, all sales and information is real time data of how your company is performing. Standard reports provided in various BMO Online Inventory System modules and they can be used as references to assist in reviewing your Sales Team performances. Without the function of generating sales reports, your company may have difficulties in referring to its sales history when required. With BMO Inventory System Malaysia, you can store all your sales records inside the system and retrieve them in an easier to understand format. 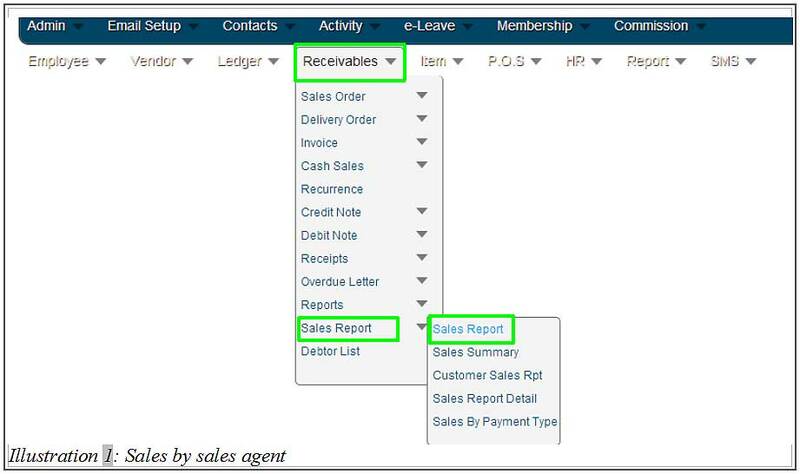 Below is a simple guide on how to view a sales report based on sales by sales agent in the system. 1. Go to Receivables > Sales Report > Sales Report to view sales report. 2. In this Sales Report page, fill in at least one of the sales report’s detail. 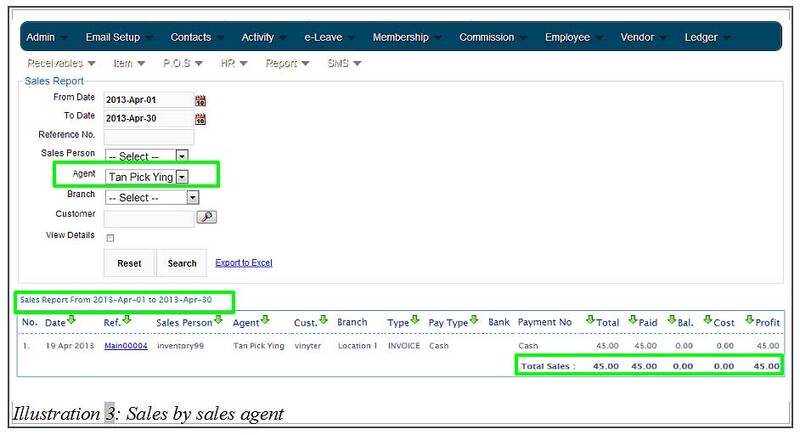 For example, to view sales report based on “Sales by Sales Agent” by selecting an agent from agent list. Click on Search to search for the report. 3. Now, you are able to view the sales report of an agent for any chosen time. Together with these sales reports, there is a cost listed in every sales report as well as the total cost of sales reports.